For couples that would like to take the decoration and the floral design for their wedding into their own hands, it is always possible to order individual flowers from Troys Florist. This company has a wide selection of flowers that come in various colors to suit whatever theme you may have for the event. If you cannot be sure that the local flower shops will be able to achieve your vision, then you should buy your own selection of flowers and make sure the arrangements are perfect. 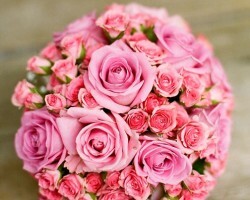 The most beautiful wedding flowers are available from Sunflower Florist. This company has a set of traditional bouquets that are incredibly popular amongst couples in Texas as well as custom services that can incorporate materials to accent their arrangements. This is a great service offered by the company when considering the possibilities for centerpieces and decorations. Couples have opted to have the professionals incorporate candles, branches and more into their floral designs and creations. Calling this company or visiting them is the best way to learn more. The flowers that you have on your wedding day to carry as part of the bouquet or to decorate the tables will have an impact on the style and the atmosphere of the occasion. This is why so many couples choose to work with Get Flowers. This company offers everything from a stock of tried and tested arrangements to custom flowers that can be made to suit the theme of the event perfectly. 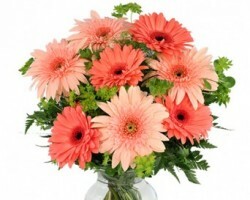 This company even offers flower delivery in El Paso as part of their service. 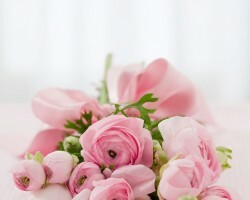 Wedding flowers can range from the bridal bouquet to cake decorations and corsages. Luckily for couples planning a wedding, Casa Blanca Flowers & Gifts is an El Paso florist that does it all. For affordable prices, couples can hire this shop to come up with unique floral designs for every aspect of the day. Working closely with this shop means being sure that you will love the designs and the results that you are able to achieve during your celebration, which is always the case according to reviews. Como La Flor Flowers and Balloons offers everything from arrangements for loved ones to make them feel special on a birthday or holiday as well as fresh flowers and designs for wedding bouquets. As florists in El Paso, TX this company is able to work with couples to make sure that they are getting the wedding flowers of their dreams. 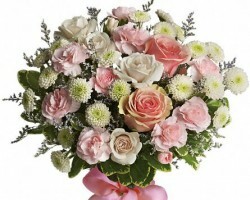 The selection that this florist offers is always varied and always beautiful. 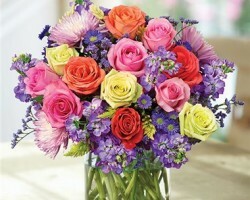 The arrangements are sure to add an element of romance to your wedding day.